There is an art to arranging rugs in a living room, and it’s all about forging a relationship with your furniture. 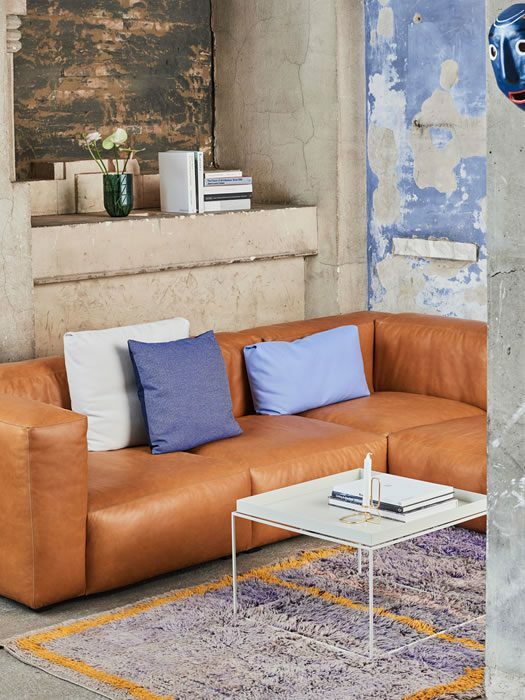 We’ve done a lot of experimenting to save you the bother, taking into account various different lounge seats, from L shaped sofas to single armchairs. 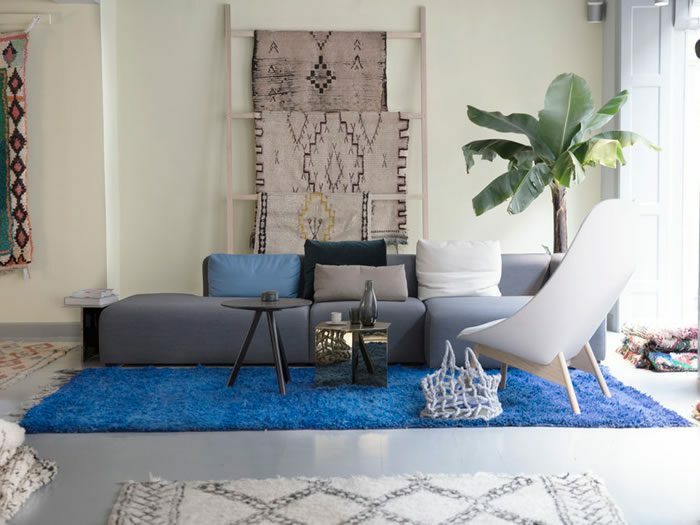 One rule of thumb worth considering when positioning rugs in living rooms is to avoid the ‘floating rug’. This is where a small rug is placed far away from any furniture, for example, in the middle of a room. Instead, use your rugs to bring all your furniture together and you’ll end up with a cosy and united space. Here are five different ways to help make that happen. Use your rug to create an island. 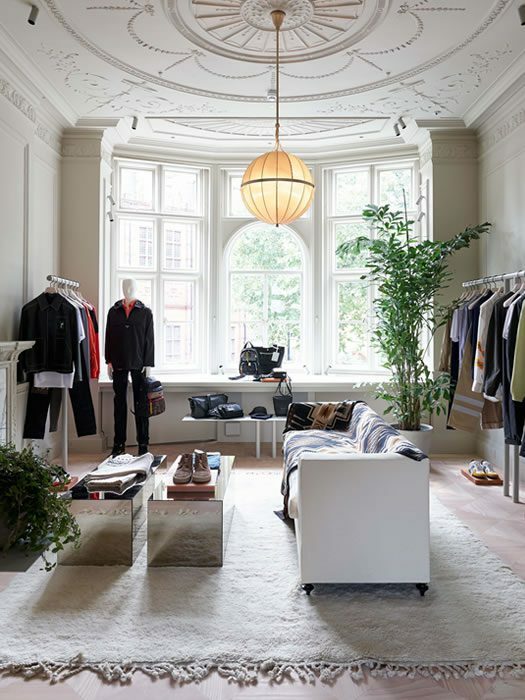 Luxury fashion destination Matchesfashion.com now occupies a beautiful townhouse at 5 Carlos Place, Mayfair, reworked by Interior architects Philip and Peter Joseph of P Joseph who imagined that the home belonged to a chic, well-traveled, collecting couple. So while the rooms are about browsing for clothes, it also feels like you’ve stepped into a well-appointed living room. In the above space, the rug allows a seating area to be positioned at the centre of the room, but to feel cosy and zoned. Use a large or extra large to achieve similar and think of your rug as an island. The concept here might be necessitated by having clothes rails around the perimeter of the room, but would work just as nicely in any large lounge. There are various ways to approach your sofa-to-rug ratio. If you have a Corner sofa like this one, by Hay, it makes sense to follow the lines of it by placing a small or even extra small rug at the centre of it. Allow a small gap between the rug and sofa on both sides, then position your coffee table centrally on top of it. Don’t leave a huge gap or you may end up with ‘floating rug’. With the right ratio, the set up becomes cosy and inwards looking – perfect for when you have guests. 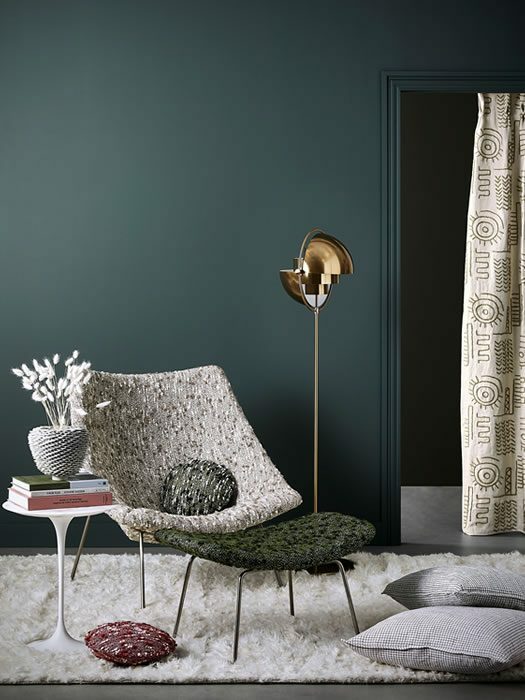 We’ve experimented with placing different rugs alongside L-shaped sofas and our favourite execution is to leave a small gap between the horizontal part of the sofa and rug, but to have the long part of the L extend over the rug. Heal’s showcases the idea in an asymmetric way (above). While in the Hay showroom one of our own large Beni M’Guild rugs (above) perfectly mirrors the length of sofa it sits in front of. It’s also large enough to contain a lounge chair opposite, which accentuates the idea of zoning your seating. table and standard lamp – for most effective results and use a deep pile runner for the most tactile finish. 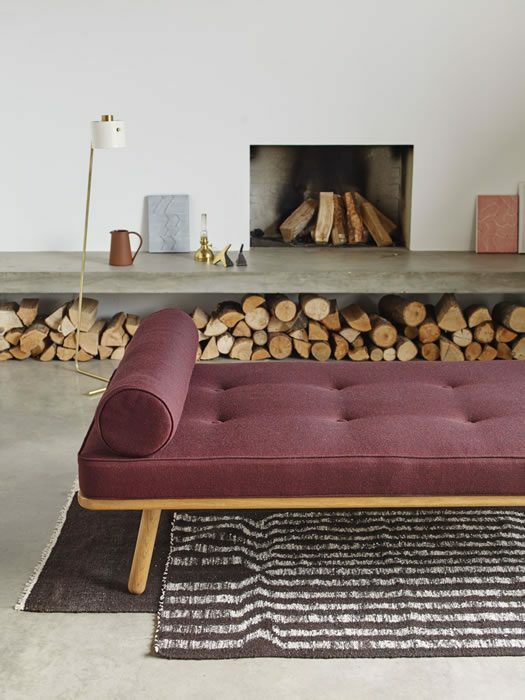 In this contemporary living room, there’s space for a daybed to take centre stage in front of the fire and we love the way it’s placed on top of two flat weave rugs, one layered on top of the other. 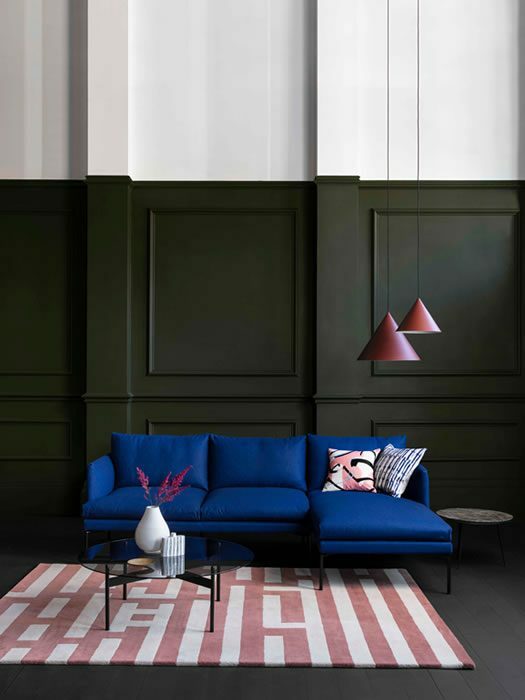 The look is playful but considered, and the striped rug adds a hint of pattern that still fits the minimal theme. Save this idea for flatter rugs rather than deep piles, which will layer less elegantly.